Check out Tobi's Spiral Knit Striped Sweater Stay toasty in the Fifth Label's Spiral Navy Knit Striped Sweater. This crew neck jumper features a crew neckline, long sleeves, and a large stripe band across the front and back. 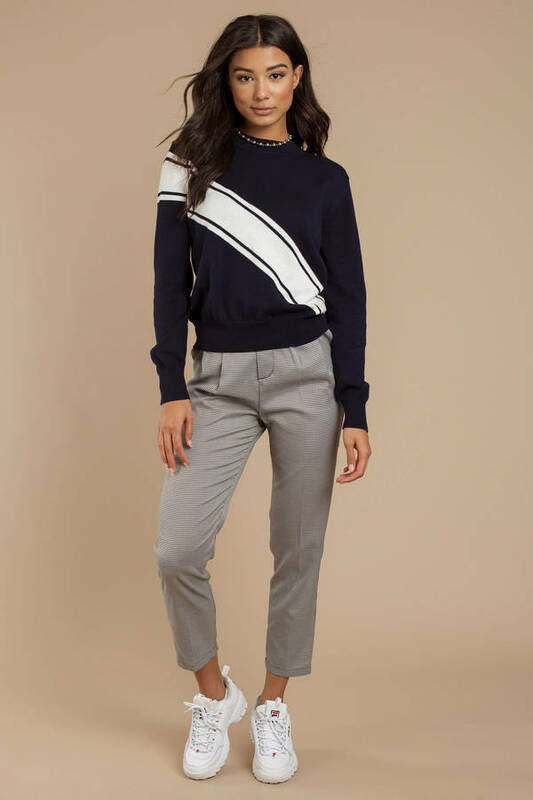 Tuck this striped sweater into high waisted jeans and you're ready for chilly weather. 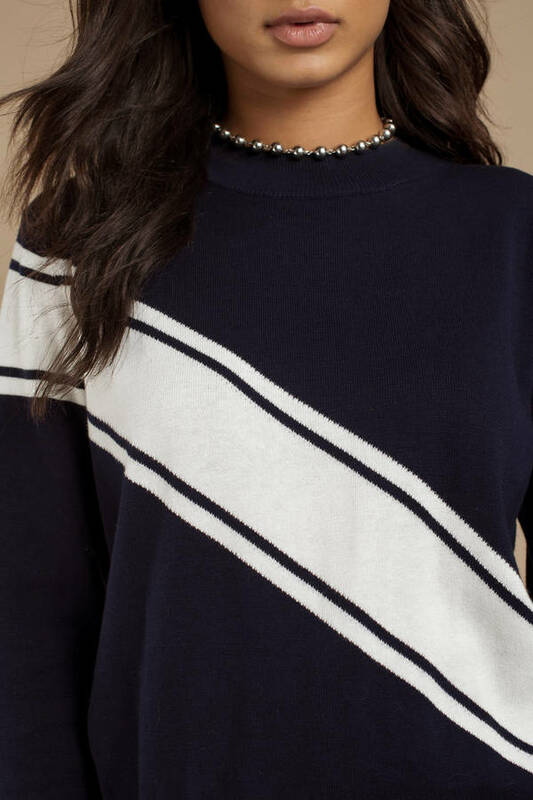 Stay toasty in the Fifth Label's Spiral Navy Knit Striped Sweater. This crew neck jumper features a crew neckline, long sleeves, and a large stripe band across the front and back. 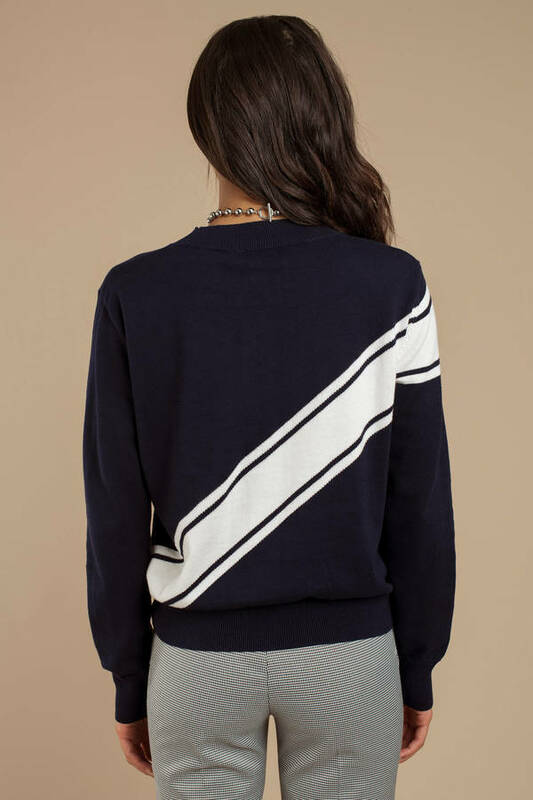 Tuck this striped sweater into high waisted jeans and you're ready for chilly weather.